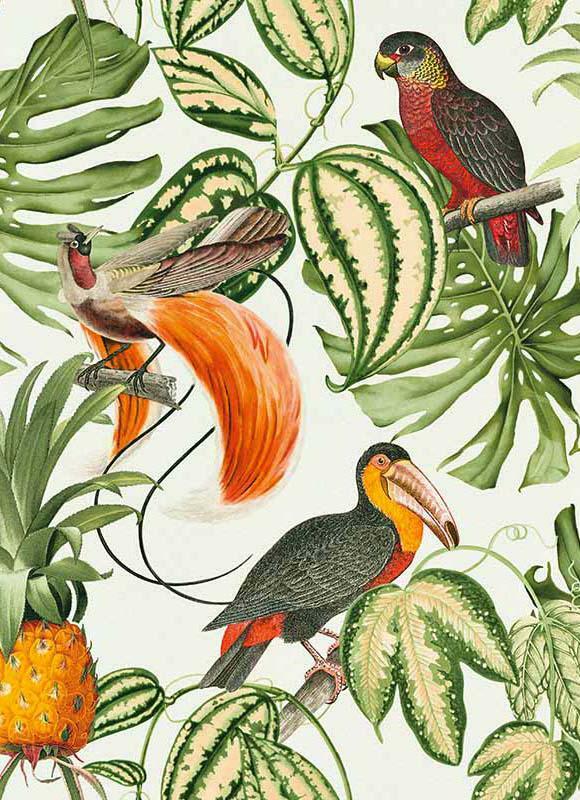 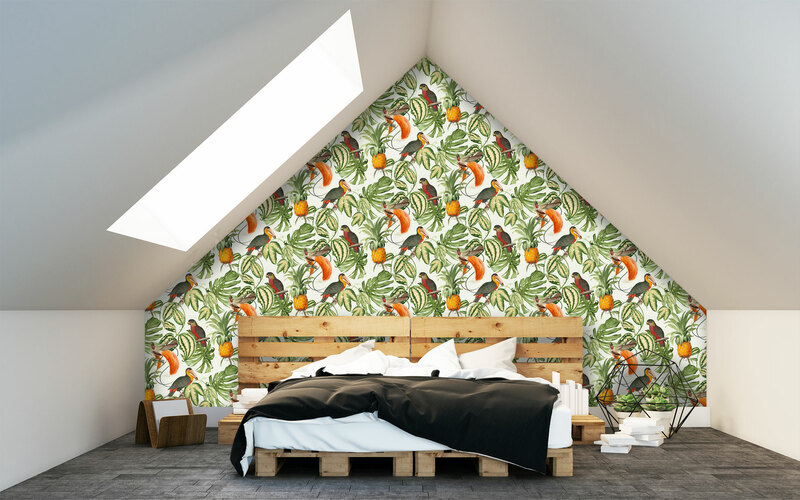 Bring paradise into your home with this superb tropical themed wallpaper. 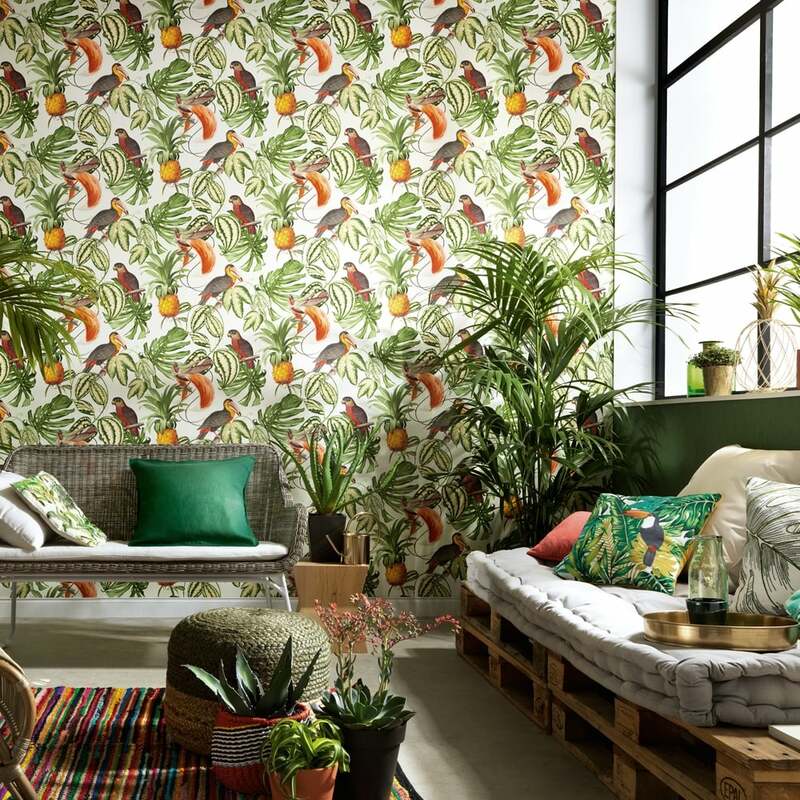 It features beautiful exotic birds such as the colourful toucan and parrots with tropical fruit pineapples to create a jungle themed design. 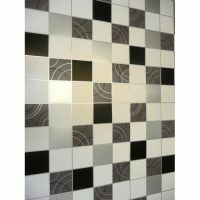 This is a naturally colourful pattern which sits atop a white background beautifully. 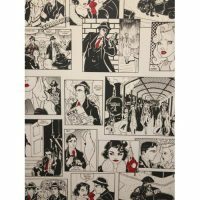 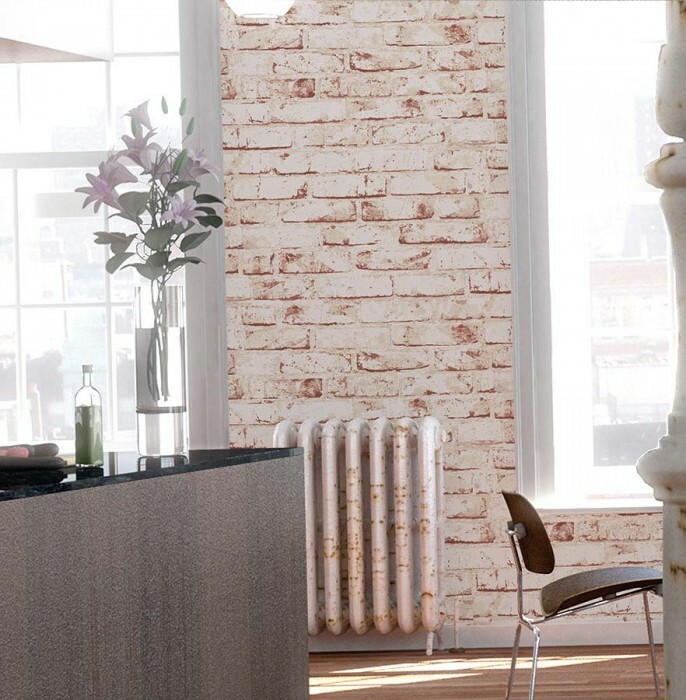 The wallcovering itself has a very subtle grain on what is a tough vinyl that has a non-woven backing making this an easy-to-hang paste the wall wallpaper. 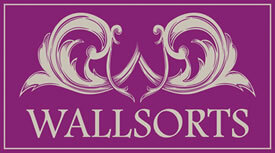 Colour: Green, yellow, white, multi-colour. 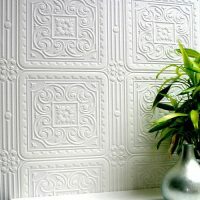 Type: Textured Vinyl, Extra Washable, Paste the Wall Application.